Prospective railway routes were surveyed to establish the most practical and least costly course. 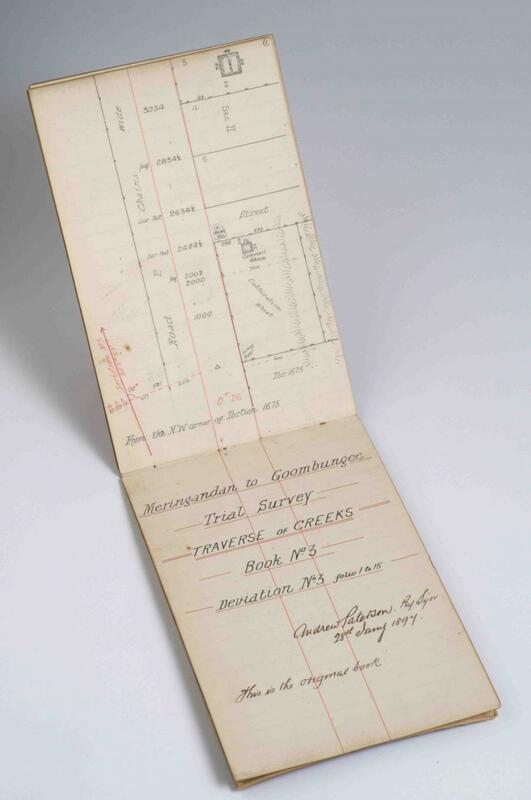 This notebook was used to record a trial survey of the landscape between Meringandan and Goombungee, just north of Toowoomba, in 1897. 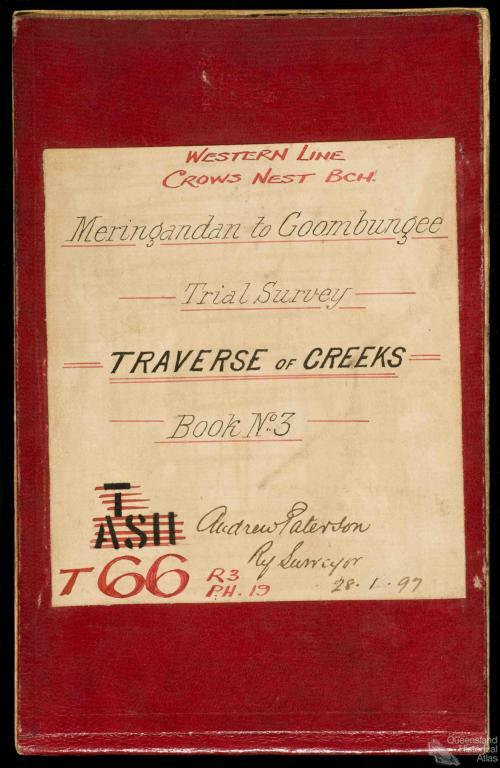 The crafting of the notebooks is a testament to the artistic ability and precision of the surveyors, and illustrate how they read and mapped the landscape.